Already the Guam marathon national record holder, Army Lt Col Wayne Blas is eyeing to smash that record in next week’s Boston Marathon – the grand daddy of all marathons. 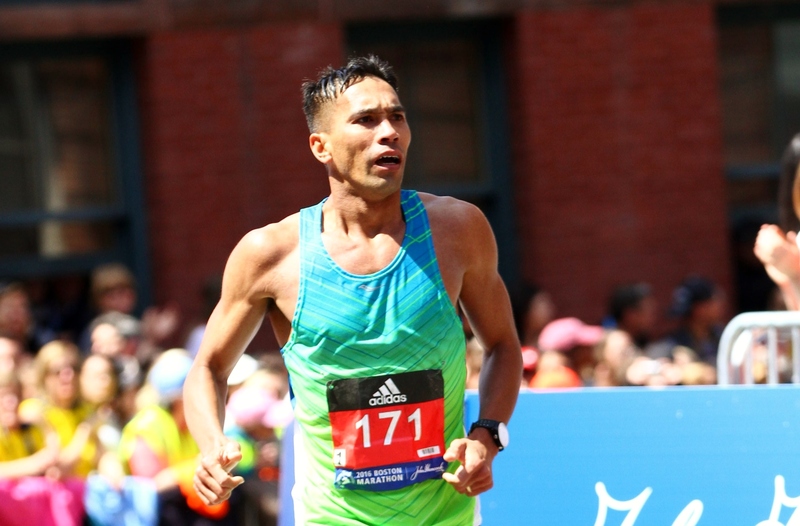 Blas’ Guam national marathon record is at 2:31:44 set just last November in Indianapolis. His best Boston Marathon time 2:33:13 in 2015. His goal is the break 2:30. Just days away, Blas took some time out to answer some of our questions. GSPN: You’ve lived stateside in some cold areas being in the Army. Running in chilly Boston doesn’t bother you anymore? GSPN: Your record time of 2:31:44 just occurred in November. Like a fighter trying to lose those last two pounds to make weight, how difficult will it be to shave the last 1:44 to hit your goal of breaking 2:30:00? Blas: The marathon is a tough distance. Running a new personal best is no easy task, whether you’re trying to shave off 1:44 or just 10 seconds. The good thing though is that I feel more confident and prepared for Boston than any other year. My coach thinks that I’ve worked harder than any other marathon buildup and the quality of my long runs has been much more intensive and solid, and I couldn’t agree with him more. To run my best in a marathon, everything must come together on race day. Not only do I have to be in the best shape and ready to run fast, but other factors such as weather, nutrition and hydration, staying healthy and even good luck play an important part on race day. GSPN: For the Boston run, that’s more than seven minutes you need to shave off. What’s your game plan (sections of the race) do you plan to cut that time? Blas: I don’t look at this year’s race as having to shave off seven minutes from last year. Every race and every year is different. My best Boston Marathon time is 2:33:13 in 2015, and that was in less-than-ideal conditions (cold, rainy, and strong headwinds). I’m in much better shape than I was in 2015 and in any other marathon, so I’m looking forward to improving my Boston time and hopefully improving my personal best. As for my game plan, I like to break the Boston race into three sections. The first half of the race, the Newton hills and Heartbreak Hill, and the last five miles of the race. I’ll try to conserve as much energy during the first half, get through the hills still feeling strong, and then run the last 5 miles with my heart. GSPN: One more week from the big run. What’s your daily schedule from here on out? Blas: This week is all about freshening up the legs. I’ll run one short tempo workout in the middle of the week to remind the legs of what marathon pace feels like. The rest of the days will consist of very easy running anywhere between 3-8 miles.